They do a wonderful job at a fair price! Thank you to Mike and his office. They have wrapped all of our cars, and every time they do a wonderful job at a fair price! Price and service was great. Just had them make and install a sign on our building. Price and service was great. They made sure to have everything in order for us (permits, code regulations,and proper color codes) even fixed the colors on it the same day I realized I sent in the wrong colors and had it installed next day. Mark Your Space had a fast turn around with their estimate and worked with us on the sign for our store. They were patient through the mall and village's approval process. Always professional and friendly! Would recommend for any store. Nice service and attention to a customer needs. Thank you for a wonderful job. Nice service and attention to a customer needs. Highly recommended. Amazing quality and customer service. We needed a pop-up backdrop for our MMA events and Mark Your Space custom designed one that exceeded all expectations. We are looking forward to working with them on our next show. Mike and his team from Mark Your Space created a for my business door recently and it is amazing! Clients and potential clients that come in for a consultation comment at how great the sign looks. It really makes a positive impact on how my business is perceived by others.Not only does the sign look great, but the level of service I received was fantastic. 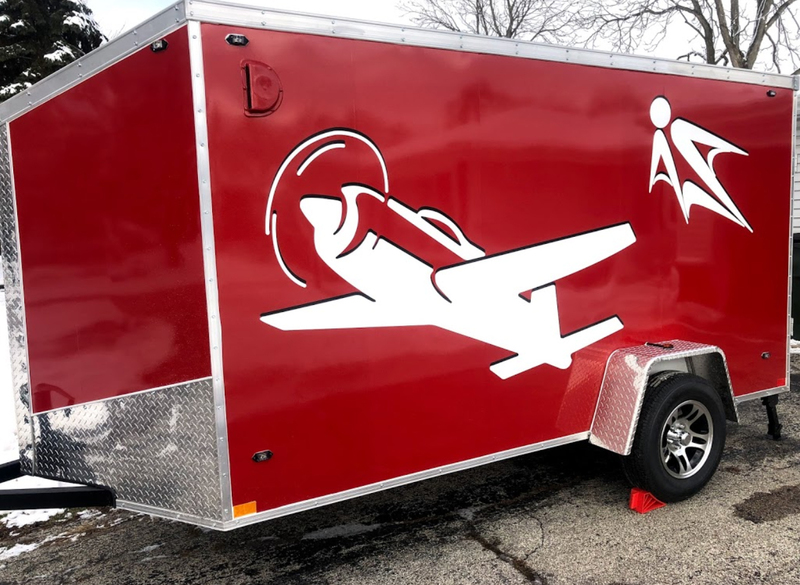 When I sent my logo over to Mike and his team, they really thought about how it might look on the door and gave me great suggestions on how to really accomplish the best look so that the sign stood out on my door.I highly recommend using Mark Your Space. You won't regret it. Great service, smart advice, quality products, and Mike has a really creative mind! Great company to choose! I found Mark your space by doing some research on the internet, and I am so happy I did. Michael and Jessica are great people who treat you like family. When I met Michael at their location and told him what I envisioned, he understood exactly what I wanted. He ordered the material needed and setup a date to do the work. When I returned I met Jessica who did the work on my car. Jessica is a true artist and could easily teach a masterclass on how to do vehicle wrapping. Her attention to detail and high caliber of work was amazing. When I saw my car I felt like I had just won a trip to disney world. If you want the job done right the first time with outstanding results this is where you should have it done. Michael and Jessica are the only ones I will go to for this type of work. Thank you both for all you did! Mike does great work and is very helpful and involved in the set up process. He knows what works and what doesn't from a marketing standpoint. I had business cards and banners made up and they blow the old ones I had away. Thanks Mike. Quality , fast and reasonably priced service. Thank you Mike and your team for great job on my truck. I've used Mark Your Space for a couple of projects. The one I was really impressed with was the vehicle graphics I had them create and install on my car. Since I was looking for a vehicle wrap company near Chicago, Mike was recommended to me as doing great work. I told them what i was kind of looking for and within couple of days I received 4 examples of the graphics. The car graphics turned out great and considering that I had no idea what I was looking for, I was really happy with the end result. I can't say enough about the wonderful service I've gotten from Mark Your Space. The staff is knowledgeable the price is reasonable and the product fabulous. Marketing my business is easier with Mark Your Space as my partner and they are truly at partner from referring my business to people they know to sharing with me new marketing ideas and techniques. Thank Mike and Cindy!!! I have had work done on numerous occasions at Mark Your Space. Every time I need some sort of advertising I am treated like a customer should be treated. Mike is very courteous and very creative in ideas of how to make what you need even better. If anyone needs some sort of graphics or signage to advertise, this is the best place to go! Mark and his team recently designed a wrap for my kia soul. They gave me 3 different designs to choose from which I then chose the best one. After I approved the design they went ahead a printed the material, the i dropped my vehicle off to get wrapped. When it was all said and done it ended up having a green look when the sun hit it which was not the look I was looking for. I was really happy with with the design though so I was reluctant to tell Mark how I felt, but after 3 days I finally called him about it. To my surprise he was very understanding and offered to redesign it right away no questions asked. He said he would rather me look at it everyday and smile rather then look at it and think its just okay. Well everyday I look at it I am smiling from ear to ear!! Great work, great customer service and overall great experience! Mark Your Space has been our branding expert and printing company for the last 4+ years. Mike and his team are very focused on their customers' needs. Our experience has been excellent! They are helpful, knowledgable, always will to go the extra mile and most importantly, they always have their customers best interest in mind. They are extremely insightful when designing our marketing pieces. Thank you for all the work you do for us! I just had both of my vans wrapped up at this shop and i am very happy with the end result. Outstanding customer interaction, top quality. Thank you Mark Your Space. We got our business truck wrapped by Mark your Space in 2014 and until this day it is still in impeccable condition. From beginning to end the staff was professional and helpful. Not only did it improve the appearance of my truck but having the wrap really increased our sales. It is like having a walking build board. I would definitely recommend this company to anyone looking to market their business in a vehicle. Mike and his staff are the best in the business. Not only are they excellent at what they do but their customer service is top notch! It is great to do business with great people and Mike and I have been doing business for several years now. If you need a sign guy look no further! We have used Mark Your Space for many projects, and we are very pleased with how they turned out! It's been a pleasure doing business with Mark Your Space, and we will continue to use their services. Thank you! Mike and Jessica did an awesome job on our Alpha Auto Van! Amazing work done by a great professional! I ordered 1,000 new business cards at a great price and they delivered to my door in less time than I was promised. From the owner to the employees, very creative and helpful. I'm having a good experience with Mark Your Space. Thank you. Best form of advertising for me. I have had people stop me in parking lots and inside stores asking about my business because of the awesome vehicle wrap Mark Your Space put on my car. Great quality and service! They were easy to work with and the quality was good. I LOVE the results the sign has provided. I'm the Business Development Director for Windy City and I LOVE the results the sign has provided. First, our client's can find us! Second, I have had calls/walk in's due to the sign which has resulted in CLOSED BIZ!!!! If you don't have a sign, it pays for itself quickly!!!! Very professional and courteous crew. Very professional and courteous crew. They whipped up a few different designs for my business and got us on our way in no time. Would definitely recommend for advertising or branding needs! Mark Your Space had done some signage for our fund raising event and the signs were all done on-time, in spec, and with great ease! Mike, the owner, is a pleasure to work with and a true gentleman of his word. Thanks Mark Your Space! Great to work with and the quality is top notch. We will be back. Easy to work with, quality people and products. We highly recommend Mark Your Space Inc. Positive experience - We highly recommend Mark Your Space Inc. Created some unbelievable signs for our building. Mark Your Space created some unbelievable signs for our building. They were extremely helpful and patient with us through the process and they created a sign that we are extremely proud of. Everyone involved in the process from design through installation was helpful, responsive and a pleasure to work with. Great people to do business with! I've now had 2 full vehicle wraps done with Mark Your Space. I'm thoroughly happy with their service and finished product. Affordable and effective! I would refer them to anyone! Highly recommended for any signage needs! Mark Your Space has helped us inside and outside our office. we have a beautiful wall mounted sign that gets complimented every day and brings an even more professional feel to our office. We recently wrapped a van and it has been the talk of the town. They made both processes easy and quick. HIGHLY RECOMMENDED FOR ANY SIGNAGE NEEDS! Mike is great to work with, and I know when I hire Mark Your Space I am in good hands! I highly recommend them! Amazing turnaround and amazing output from the group. The team at Mark Your Space was phenomenal when it came to working with us on our recent event. We had two signage requests: a banner with our organization’s logo and a sign to promote the evening’s entertainment.The only request the team had from me was names, logos, and color preferences. From there, they put together two beautiful proofs and had the actual signage printed that same day. Amazing turnaround and amazing output from the group at Mark Your Space - looking forward to working together more! The process was straightforward and the team was so genuine and easy to work with. The team at Mark Your Space created a beautiful wall mounted acrylic sign for our corporate office. The process was straightforward and the team was so genuine and easy to work with. After calling a number of other places for pricing, it was great to find Mike and not feel like I was being taken advantage of by an impersonal chain store with employees who aren't passionate about the product they're delivering. I would 100% recommend Mark Your Space. 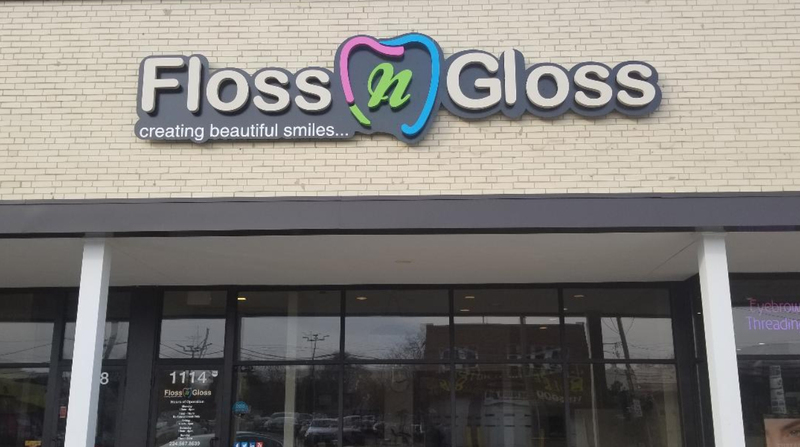 I needed an exterior sign that lit up at night and window vinyl lettering for my storefront office. Frank and Mike were fantastic to work with. They were very professional and they had the best price too! They were always available when I called and it was such a smooth process to get it installed. Everything looked perfect, just as I had imagined. I highly recommend Mark Your Space! Great quality and communication. Pleasure dealing with. Ask for Frank when you call! Will definitely use them for more projects. Very happy with the customer service and response time for my project. Their work was great. Will definitely use them for more projects. Excellent job! Service was really quick and organized. I definitely recommend and will use Mark Your Space from now on! 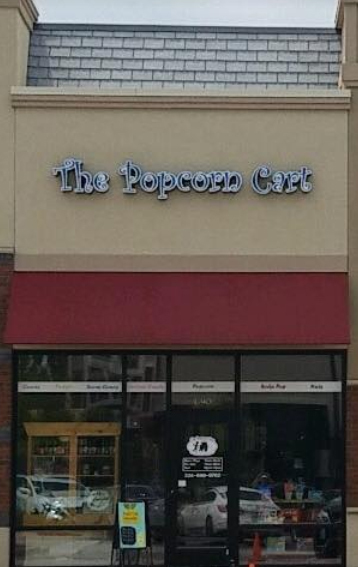 Would recommend for any store. I'll use them for any jobs in the future. Solid race car wrap! Mike did a great job spec'ing out the wrap and gave me a great price for the work. Jessica did the wrap and was a pro. This isn't an easy job and has lots of curvy bits. I'll use them for any jobs in the future. Thanks! Great people, great price and exceptional products every time! We have worked with the team at Mark Your Space, Inc. for many years now and time-after-time they deliver amazing products. We just completed another project and once again they exceeded all expectations. We reached out for some assistance with what turned out to be a very plain reception area to our offices. In no time at all the team delivered some creative mock-ups of what we could do in the space. They provided custom printed wallpaper and a 3-D sign to help bring some bold character to the room. It was a quick decision, we loved what they created and quickly approved. The final product ties our branding together with design beautifully. Our CEO said it she could not have imagined anything better and that "it exceeded all expectations." Thank you to the whole team at Mark Your Space, Inc. Great people, great price and exceptional products every time! I met the owner of the company at a networking event 6 or 7 years ago. I've used Mark Your Space many times over the years. From marketing banners for trade shows to designing and installing a wrap for a a moving truck. They are always responsive, helpful and do quality work quickly to meet my deadlines. I highly recommend them! Very easy to work with and a high-quality product. They do a great job of getting it done. We've been working with the great folks at Mark Your Space for years as our Go-To sign and banner company for the largest circuit of Home & Garden Shows in Chicagoland and they have never disappointed. We've had many last second needs for our events and they do a great job of getting it done and doing it right! We've worked with loads of sign companies in the last 17 years, but we'll be sticking with Mark Your Space from here on out. I highly recommend Mark Your Space. Mark Your Space did an excellent job wrapping our company car. They used a design we created and were extremely helpful and patient throughout the process. 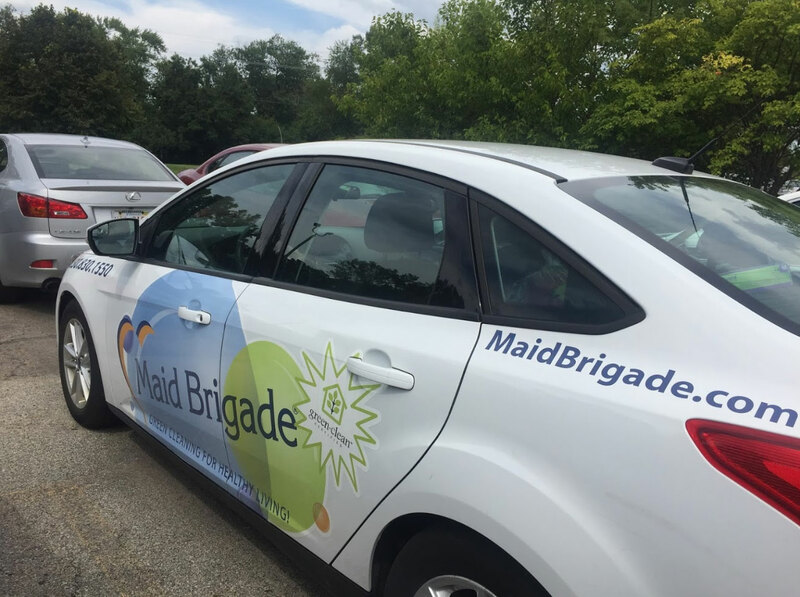 Now when our delivery car rolls up to one of our branch locations our sales agents are delighted to see the branded vehicle! I highly recommend Mark Your Space. Mark Your Space was very attentive to our needs. 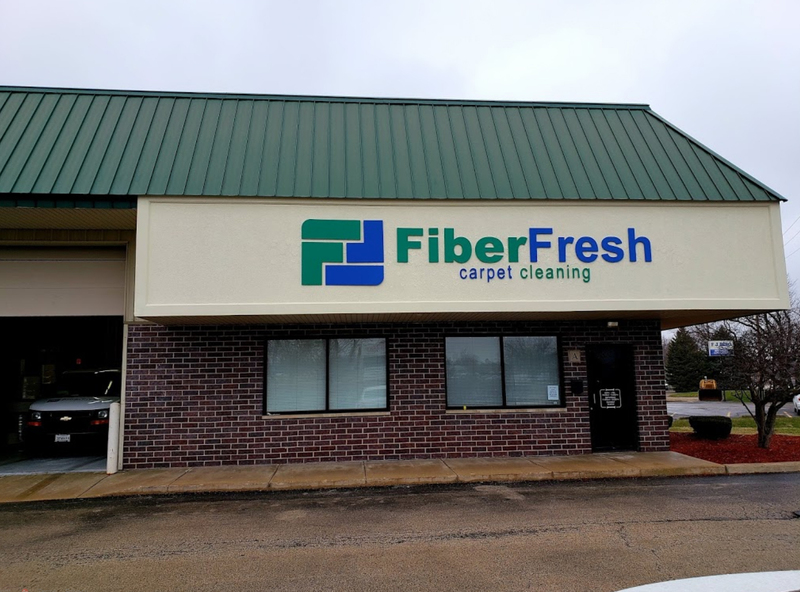 We had recently moved our business and they quickly made and installed signs at our new location. New signs were something we "forgot" about during the move but Mark Your Space had our space marked very quickly after contacting them. The new signs look great. Very reasonable price, good quality and on-time. We've been using Mark Your Space for about 6 years and not one issue. Very reasonable price, good quality and most of the time my vehicles are wrapped before due date. Highly recommended!! Great company that delivered EXACTLY what we were looking for. Great company that delivered EXACTLY what we were looking for. Super transparent and thorough communication. Great mockups and creative ideas throughout the process. I'd highly recommend Mark Your Space! !